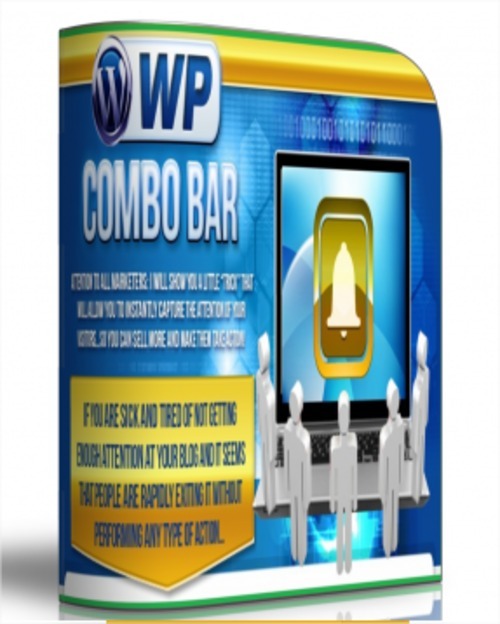 WP Combo Bar Plugin is a brand new WordPress plug-in that allows you to quickly and easily create your very own attention grabbing notification barsin just a few clicks of your mouse! Its really easy to use, to install (this is ideal for those who dont want to mess with code and love simplicity of use). Ready to upload minisite, with the sales letter and and graphics already in place and nicely formatted. Youll be getting 2 choices (colors) minisites to choose from.. Banners 8 static banners to grab your visitor attention. Documentation User Guide in PDF format. Yes You can add your name to the sales page and brand as your own! Yes You can offer them as bonus products to a paid offer. Yes Can be added to a paid membership site with personal rights. Yes Can pass Private Label Rights. Yes Can Pass Master Resale Rights. Yes Can Pass Resale Rights.